For landlords, renting out your property is a lucrative way to earn cash. 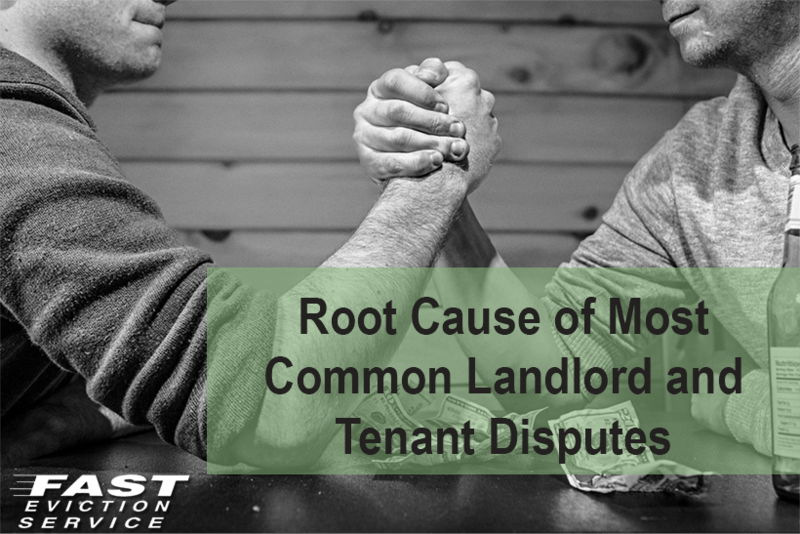 However, sometimes the tenant and landlord relationship takes a negative turn, which can be due to a number of reasons. A tenant might feel their landlord is too strict or bossy, while a landlord may find out that the tenant has developed a habit of delaying the rent. Maintenance of the property is another factor that can also contribute to creating disputes between landlords and tenants. Disagreements are bound to arise, but the tenant should carefully understand the lease or rental agreement before signing. Also, the agreement is open to negotiations, so the best safeguard that both parties have against future disagreements is a well negotiated lease which addresses important concerns for both parties. Following are some of the most common landlord tenant dispute areas. One the most common types of landlord tenant disputes which arises between the two parties, is due to the landlord not paying attention to and fulfilling maintenance and repair responsibilities. This can often lead to tenants retaliating by withholding rent, which becomes the reason for dispute. The landlord has every right to deduct the costs and expenses of unpaid rent owed, repaired items due to damage by the tenant, cleaning the unit or storing tenants belongings from the security deposit. The landlord must also provide a list of all deductions and send the refund to the tenant. Typically, landlords are required to refund the security deposit between 21 to 30 days after the tenant has vacated the unit. A landlord may also demand a pet deposit before or between the lease duration if the tenant wants to add a pet to the house. The amount of deposit can be set by considering the size, weight, breed, and number of pets. Pet deposits are separate from security deposits, and may be used to pay for pet related damages to the property. Many states do not require the pet deposit to be refunded. A frequent requirement mentioned in a lease is regarding keeping the premises clean and sanitary. Tenants are required to perform chores such as cleaning, mopping, removing garbage regularly. The tenants’ failure to keep the premises clean may cause a dispute. Under the law, the tenant has a right to habitable premises. This means that the landlord is required to provide clean and sanitary premises, along with making timely repairs, correct defective conditions, and comply with safety and health codes for rental units. The majority of State and federal laws require the landlord to disclose any property defects before the lease agreement is signed. Disclosure includes information such as, presence of lead paint, toxic materials, or debugs in premises. The law governing landlord tenant relationship requires that the landlord make the necessary repairs needed in the premises. It is the tenant’s responsibility to allow the landlord to make the repairs. In case if the landlord fails to make the repairs, the tenant may hire a professional for the job themselves, vacate the premises before agreement ends, and withhold rent, all of which may lead to a dispute. The tenant may break the lease in some cases, by moving out before the agreement ends or stop paying rent. Their reason could be relocation to another city, or loss of employment. Other reasons may be a dislike to the neighborhood, outgrowing the rental unit, or any other personal reasons. This may cause a dispute between the two parties, since the landlord may object to the lease being broken and the tenant may retaliate. No matter what the cause of the landlord tenant dispute is, both parties should solve their issues legally and ethically, so that no one is treated unfairly.